I really dislike those Chicken Soup for the <insert: mother/teen/daughter/son/diabetic/etc> Soul books. I’m just not that person who finds encouragement in them. I don’t like to read quotes helping me relate to my peers/mom/dad/etc or stories to make me feel that tomorrow will be a better day. That random fact aside, this chicken soup does heal the soul. I think a good soup has a much better effect than some book. Esp when it is this soup. 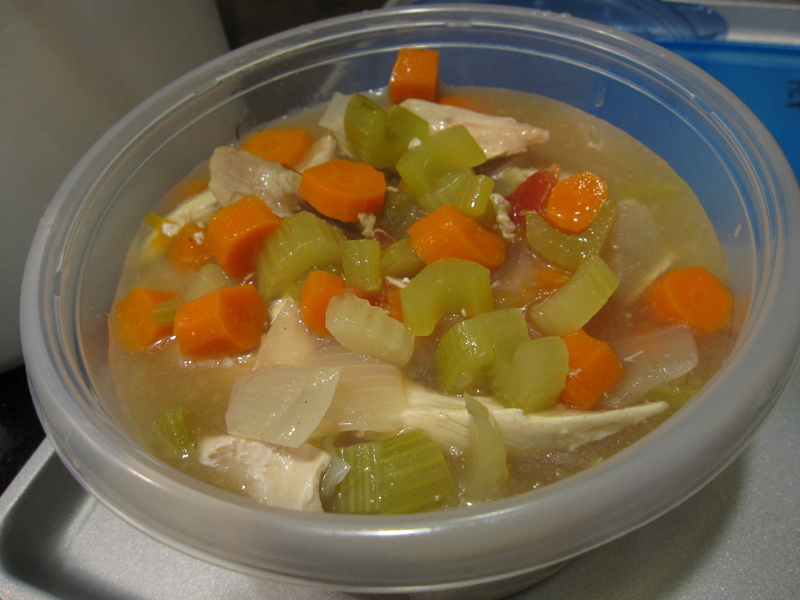 Sure, it is just chicken soup but this reminds me of all the times my mom made it for me when I was sick. I would eat it with rice, cover every square inch of it with cheese, and curl up on the sofa. I really think chicken soup is so much better eaten on the sofa covered in a blanket. Anyway, chicken soup is easy. Chicken, water (broth is better) veggies, seasonings- just cook. I think the hardest part is getting the whole chicken(s) out without burning yourself/making a mess and impatiently waiting for it to cool to tear it apart. When my dad makes chicken or turkey soup be makes tiny meatballs that he adds in there. I’m not a delicate person and I typically destroy the meatballs when I stir up the soup- I’m a wreck. 2. Peel carrots and slice into 1/4″ thick pieces. 3. Cut celery into 1/4″ pieces. 4. Slice onion into thin slivers. 5. Dice tomato into small pieces. If using canned diced tomatoes, drain juice. 6. 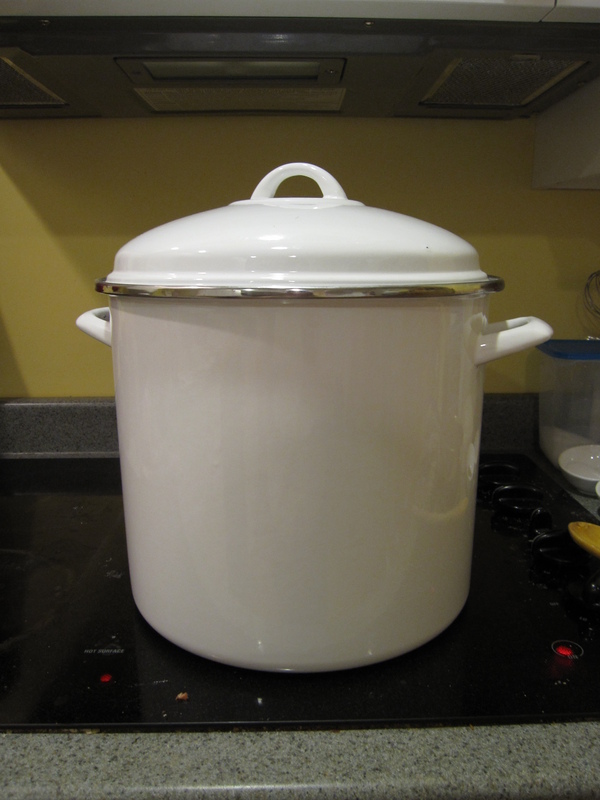 Combine chicken and veggies into a large pot. Cover with broth*. 7. Bring to low boil and cook for 30 minutes. 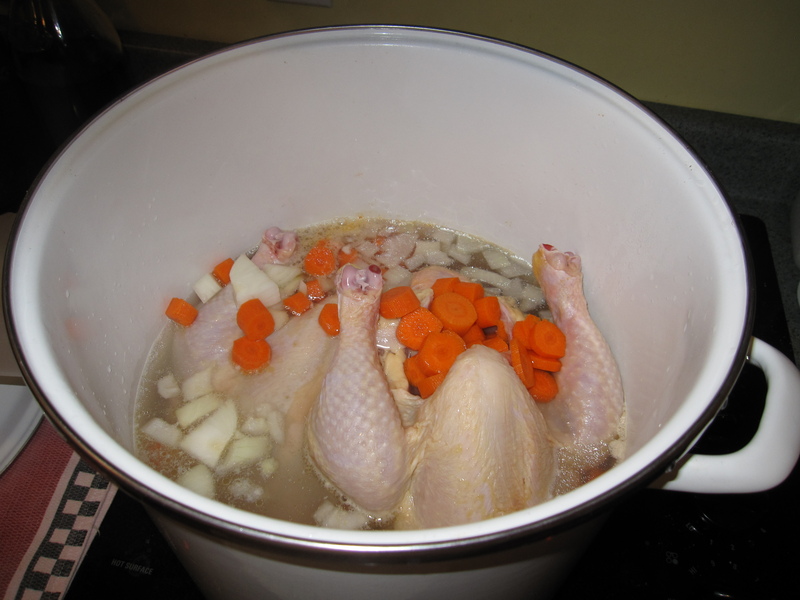 Remove from heat and remove chickens, allowing them to cool. 8. Discard skin and tear apart the chickens, adding meat back into soup. 9. Skim fat from soup. It is easiest when the soup has completely cool, even better after it has been in the fridge for a while. *Broth is already seasoned so it adds more flavor but water is fine, just season soup to taste. you are definitely your mother’s daughter…I too destroy the meatballs when I stir my chicken soup. I remember making you chicken soup when you weren’t feeling well and it always seemed to get you better, I think it was all the cheese you put on.